Kirra – One Perfect Day! Like many Owners, Wyndham Kirra Beach is a personal favourite of mine. The Resort itself is everything you’d expect – good sized quality apartments, great facilities and friendly staff. But it’s the location itself that really does it for me! It makes me feel alive and healthy! Below is my suggestion for the perfect active day in and around Kirra. 7am – Get up while everyone is still asleep. Quick beach run and swim. Yes, for a small portion of the year the ocean is chilly – however the only time it is simply too cold to get in is the middle of winter! 8am – Cereal and fruit salad for breakfast once the rest of the family are awake (there is just too much to do to sleep in!). 9am – Fill up a backpack with water and snacks. Smother everyone in sunscreen and hats. Grab bikes (available for hire from the Resort) or scooters, roller skates or skateboards and head north. The stretch between Coolangatta and Tugun is covered in a wide concrete pathway, perfect for rolling on. It’s also nice and safe for the little ones! If you’d prefer you can simply stroll along the beach. 11am – Start heading South. Destination is Coolangatta. You can stay on the beach path the whole way! 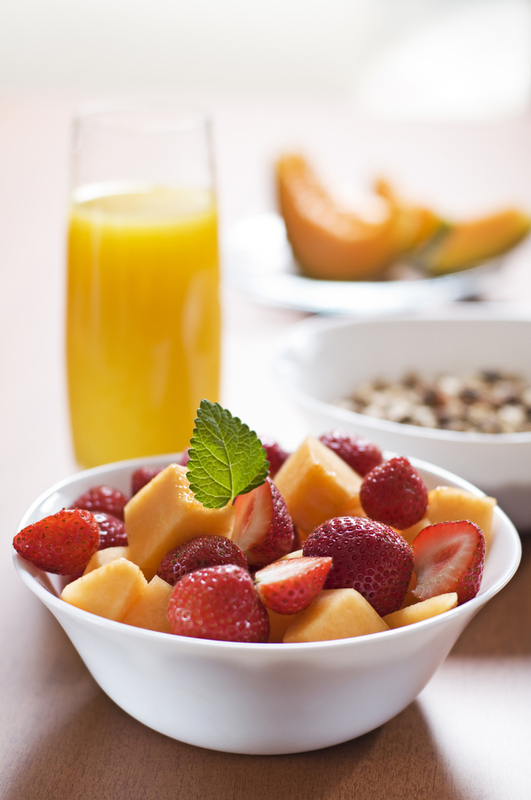 All this healthy activity will be making you hungry! My favourite place to eat at Coolangatta is Raw Energy. Just healthy, delicious food and you walk away feeling full but not heavy. 1.30pm – Restock your water and continue on the path to Greenmount Hill, coming out at Rainbow Bay. You could relax on the beach or grass for a little while then continue onto Snapper Rocks and Point Danger. 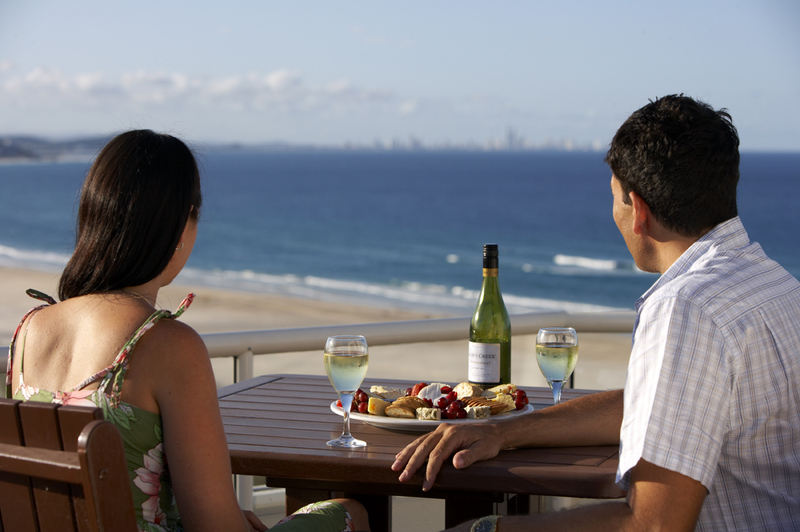 Perfect vantage point to take in the magnificent views of the Gold Coast and South toward Northern NSW. 3.30pm – Start heading home. Perhaps stop for an ice cream on the way – my favourite is New Zealand Natural at Showcase on the Beach, Coolangatta. 4.30pm. You’ve definitely earned a rest! Spend the rest of the afternoon relaxing at the Resort. Perhaps a drink on the balcony watching the perfect sunset! 6.00pm – Dinner. Cafe Fresh is close by and delicious if you don’t feel like cooking. You’ll probably be quite energised from the day, so if you do feel like cooking you could try one of Marie’s healthy recipes or grab something from Raw Energy to heat up at home. 8.00pm – If you have kids I guarantee they’ll be tired (all part of the plan). Now you can relax! But don’t stay up too late – you’ve got another full day ahead of you tomorrow!